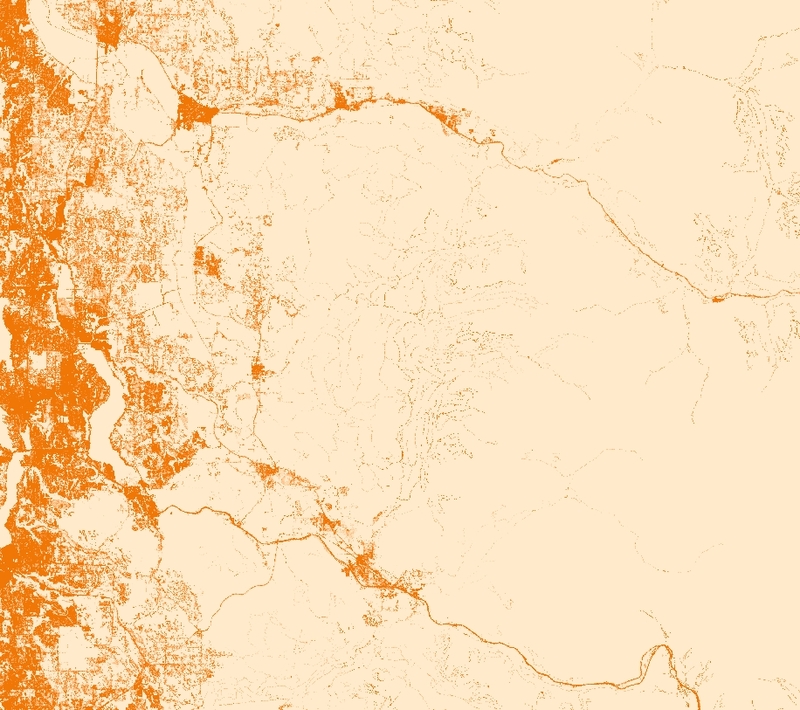 Where do internal users find it? 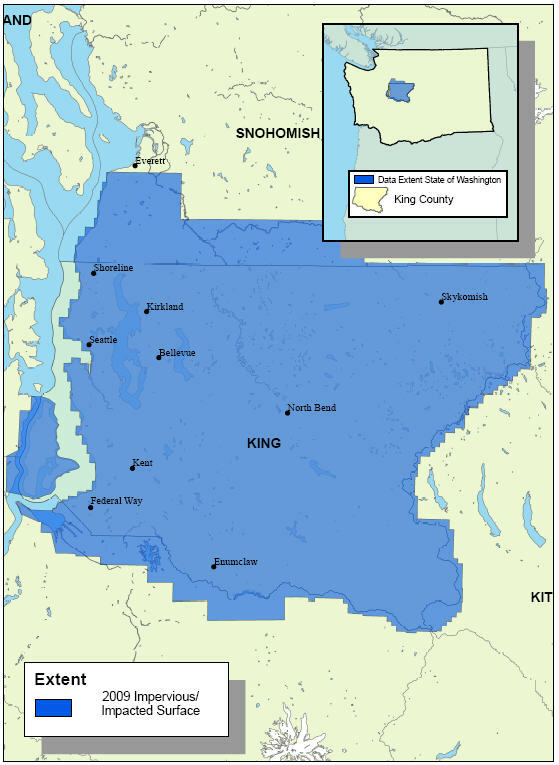 Abstract: 7-category classification covering King County and adjacent areas. 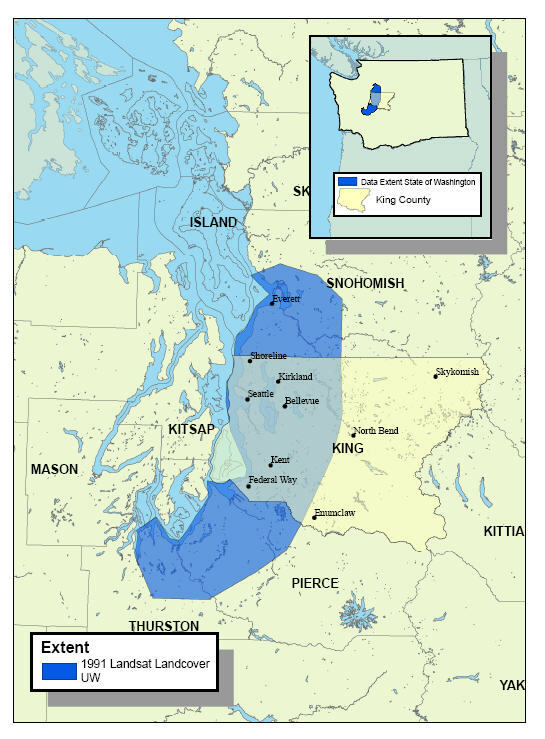 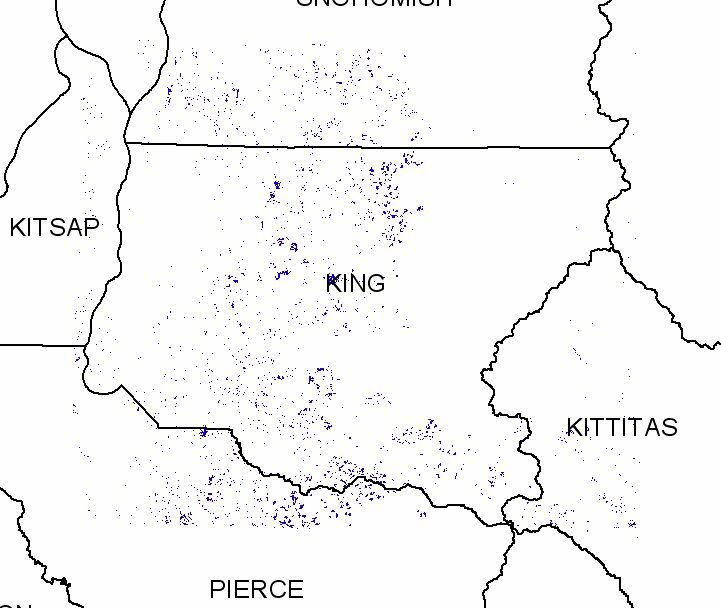 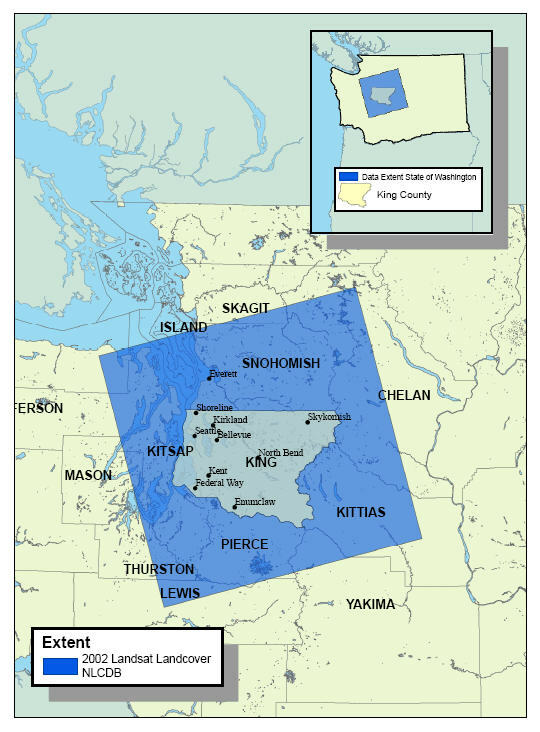 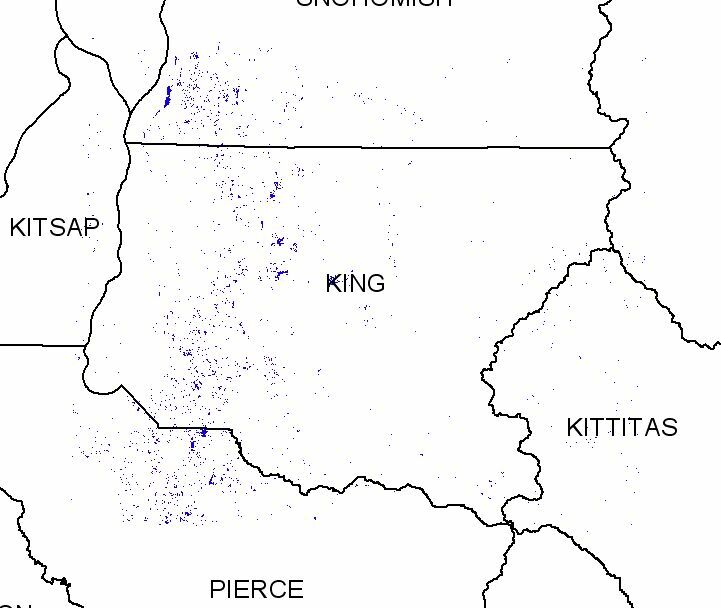 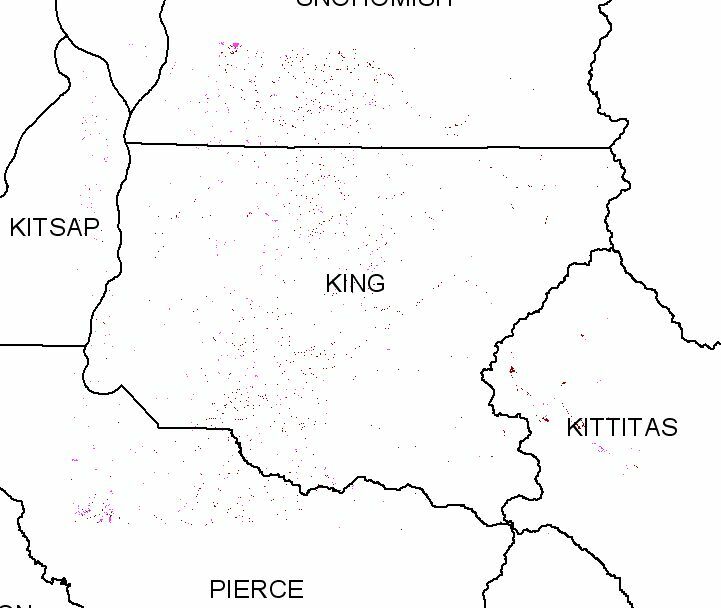 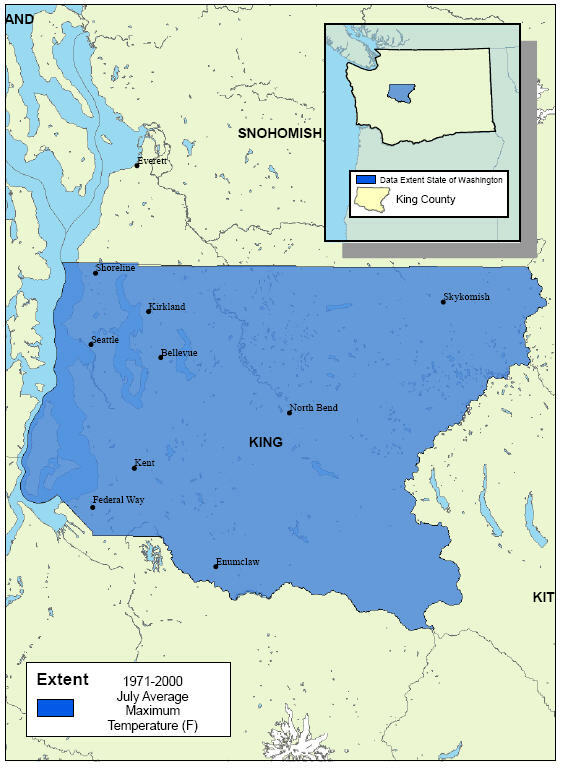 Abstract: 16-category classification covering King County and adjacent areas. 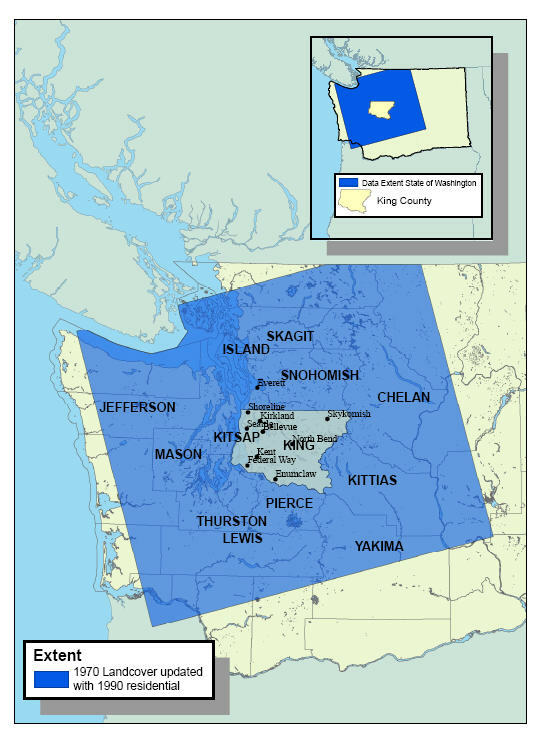 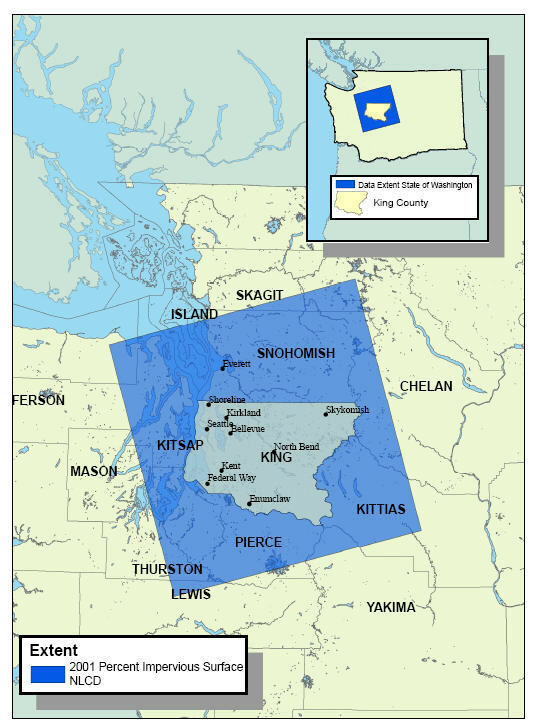 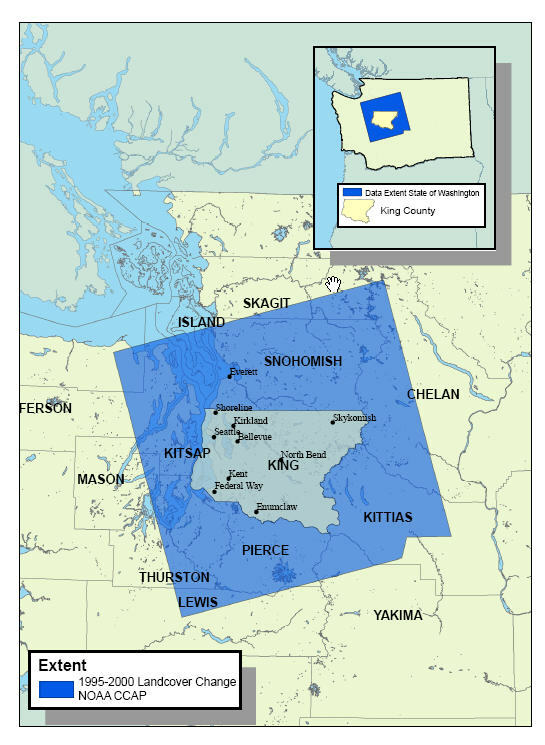 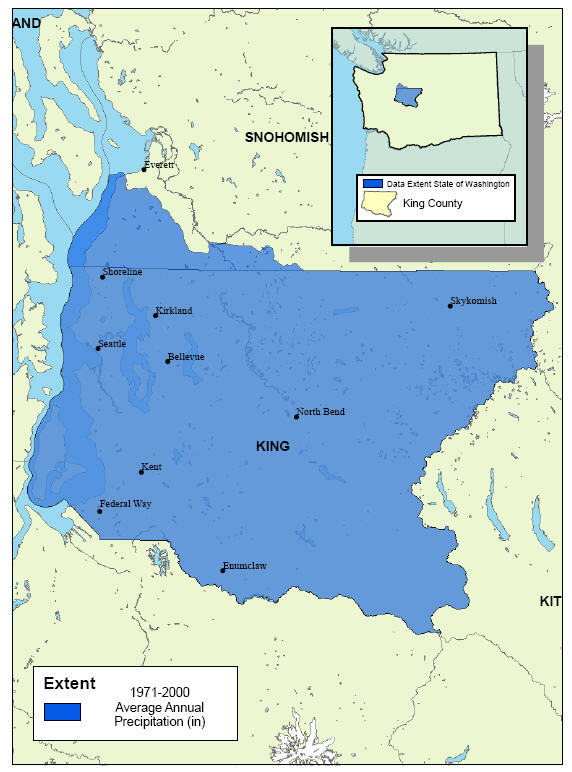 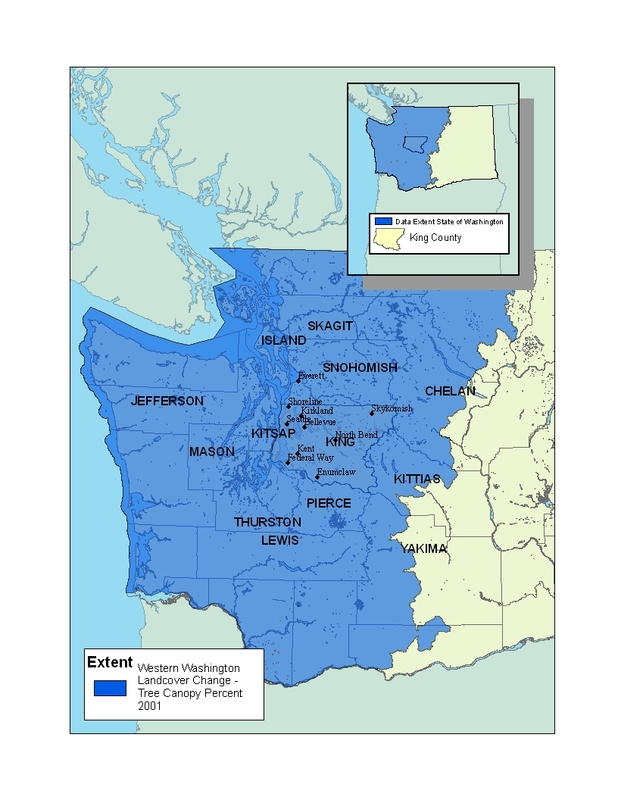 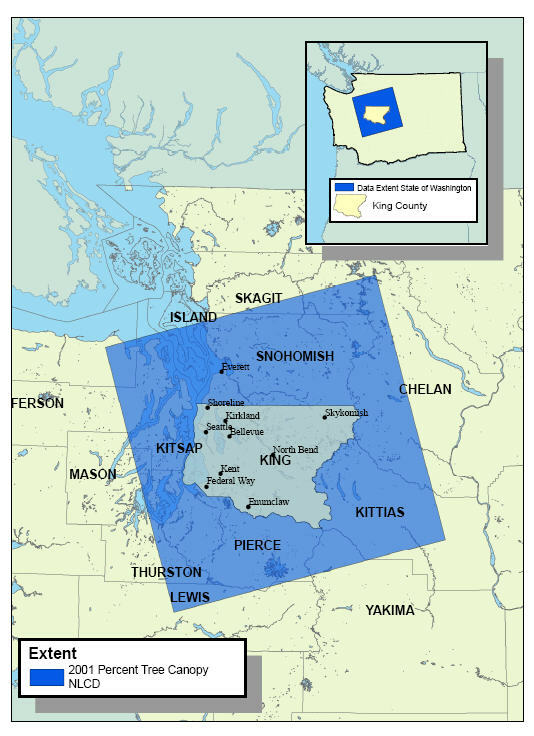 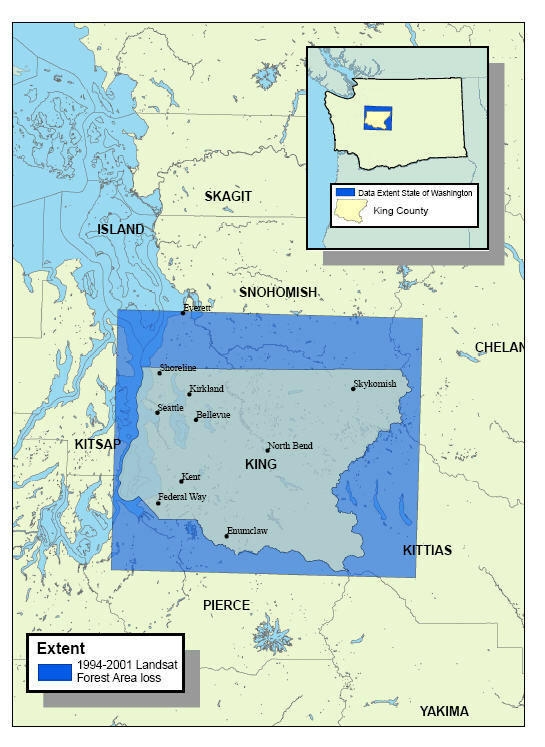 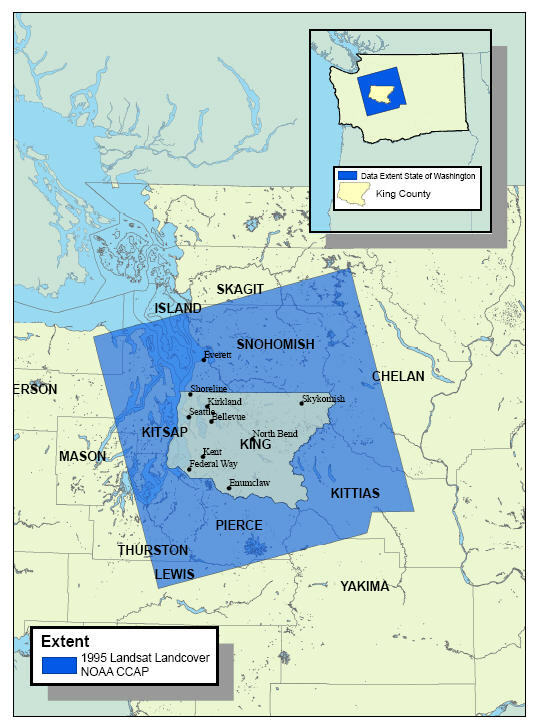 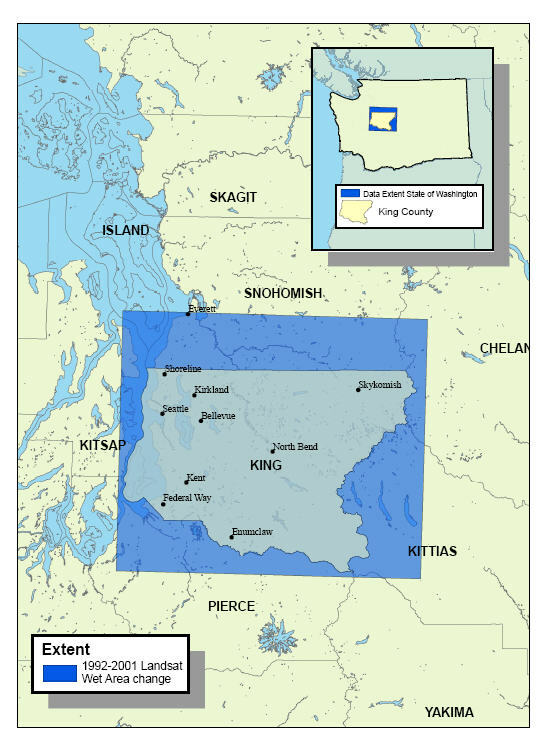 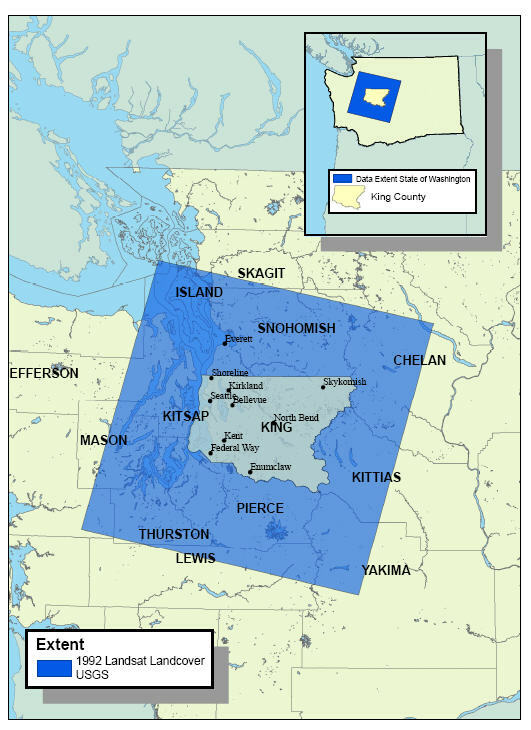 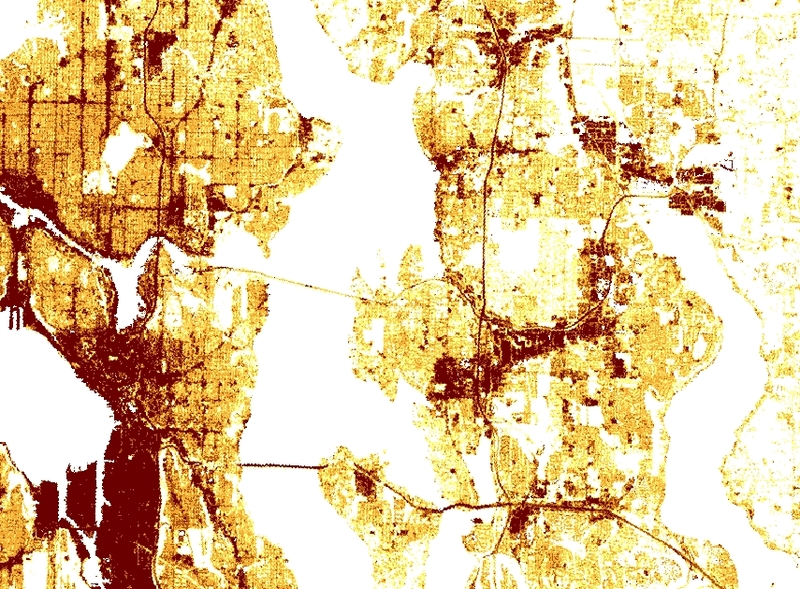 Abstract: 21-category classification covering King County and adjacent areas. 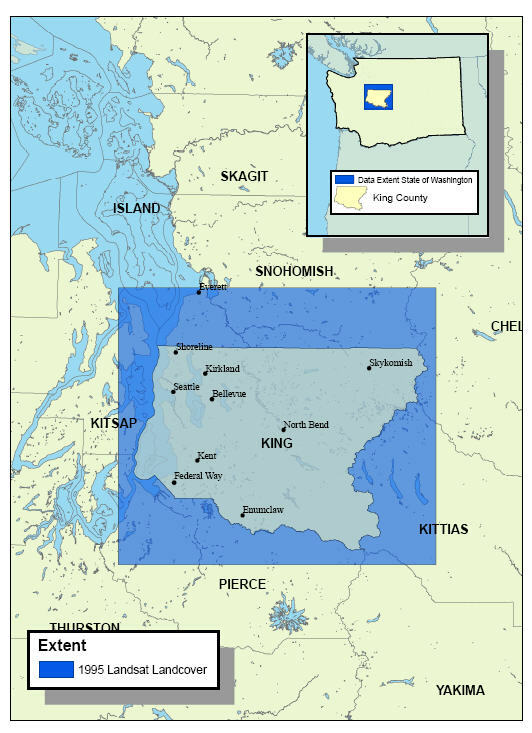 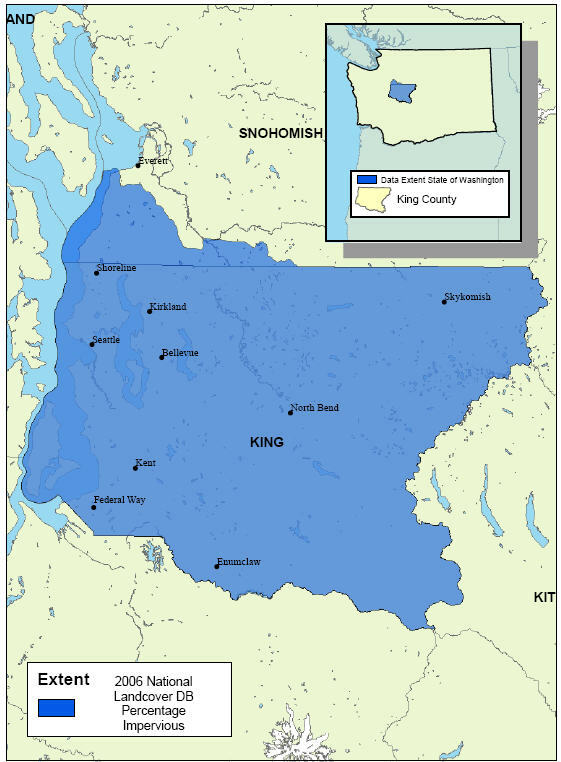 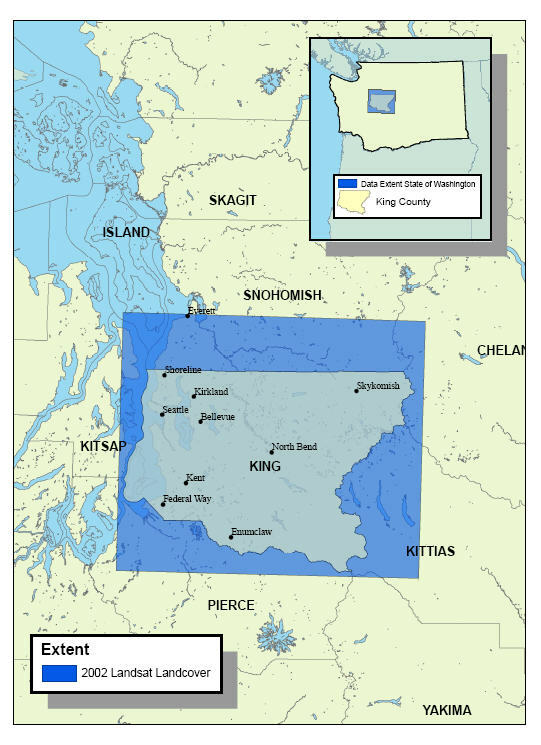 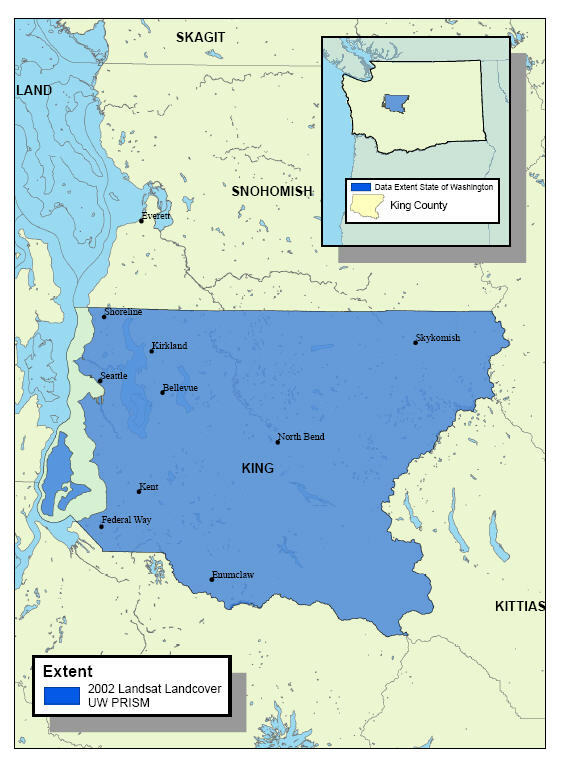 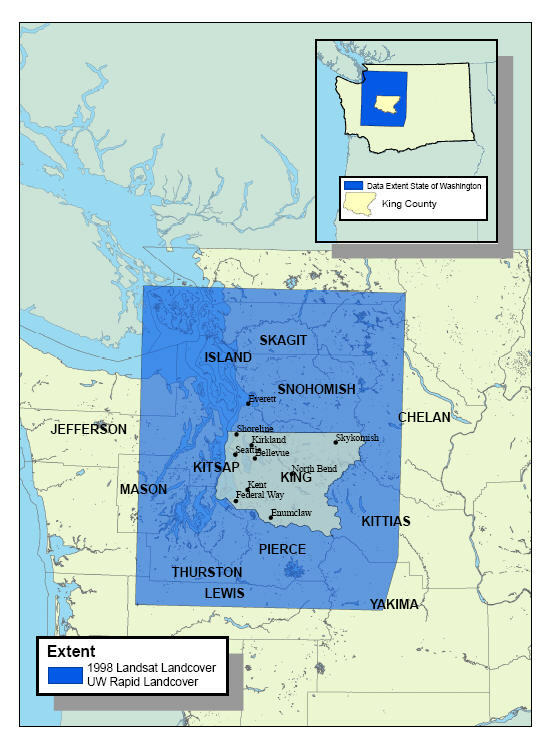 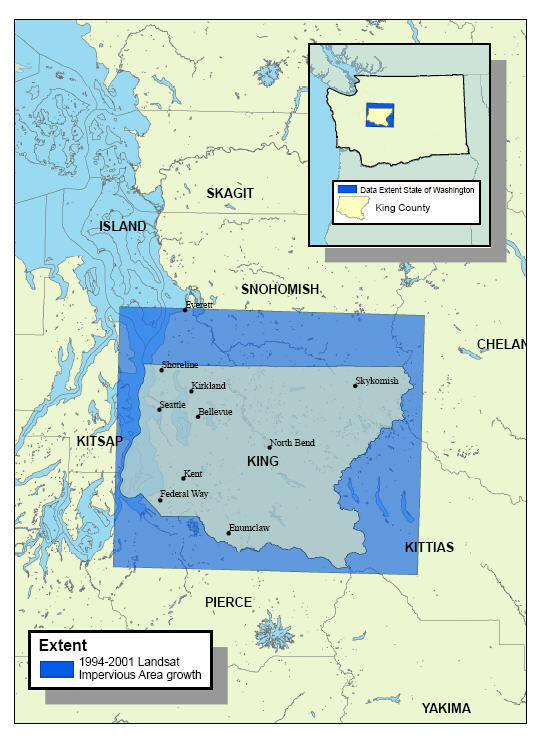 Abstract: Two-foot resolution, multi-source interpretation of impervious/impacted surface for King County and small portions of Snohomish and Pierce Counties. 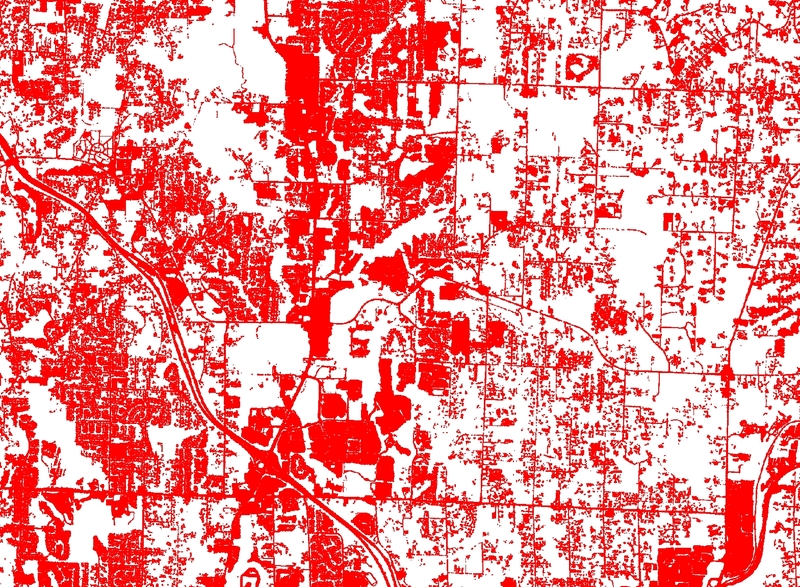 Basis is 2009 Color Infrared 1-foot imagery with significant enhancements from various vintages of building footprints, street networks, and other ancillary data from cities and agencies. 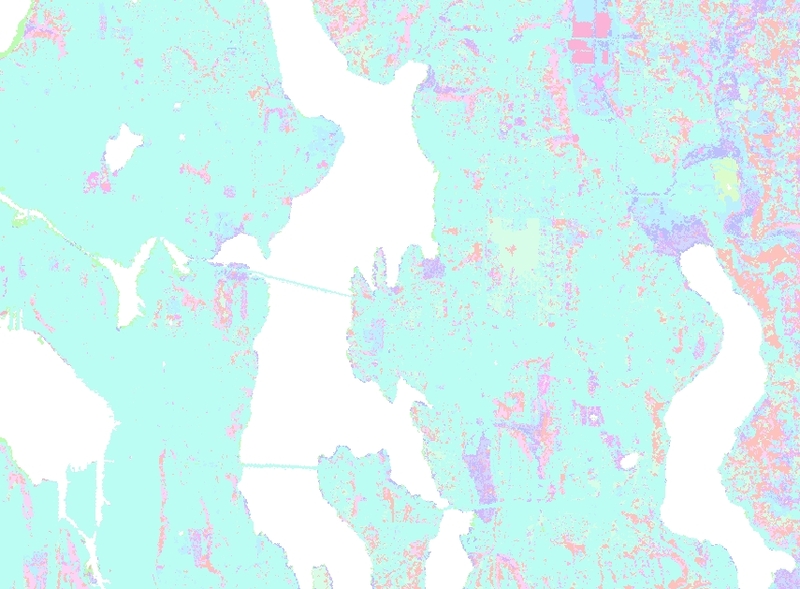 Represents a current (to 2009) impervious surface interpretation. 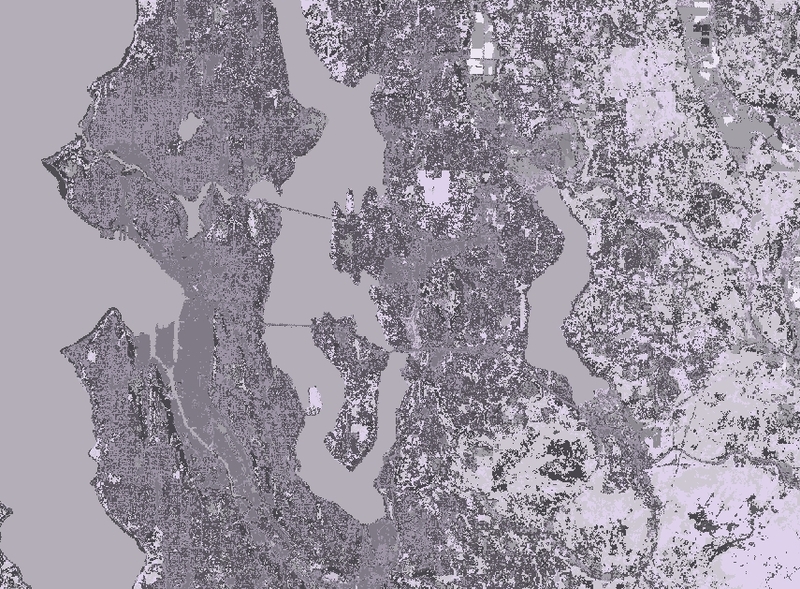 Care must be used when comparing to original 2000 impervious surface interpretation as the 2009 version includes a range vintage data, so is not an true 2009-only snapshot. 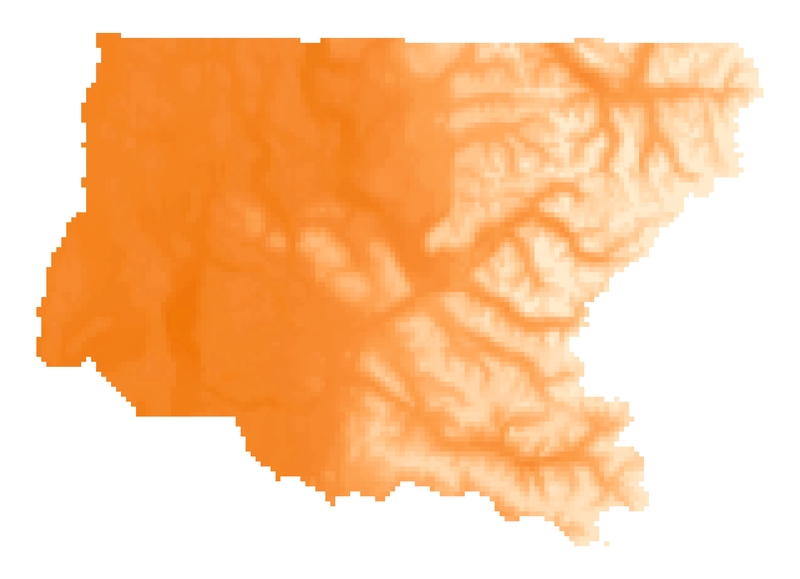 Source information is provided in data table and metadata. 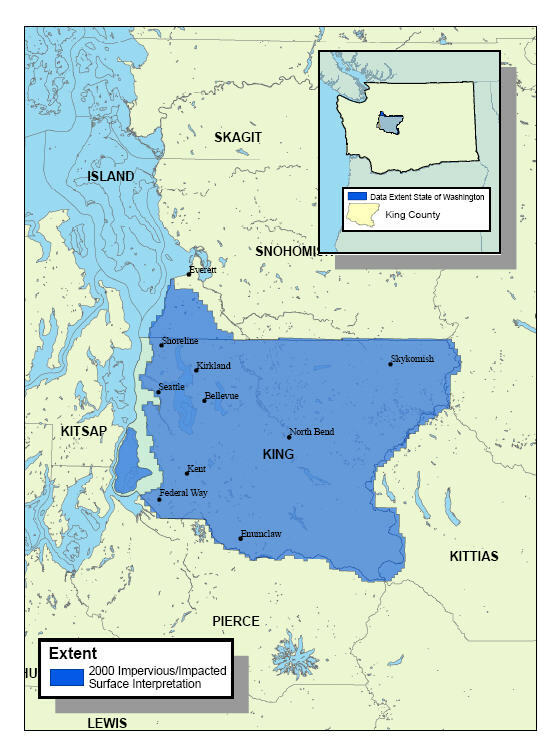 \\gisdw\kclib\plibrary3\idxptrmbr\lndcov_imp_2009\txxryy_09i002 (grid) and at the zone level as zyy_09i015, and as full county aggregate in the keyregion\landcover\ directory as reg_09i030 (grid). 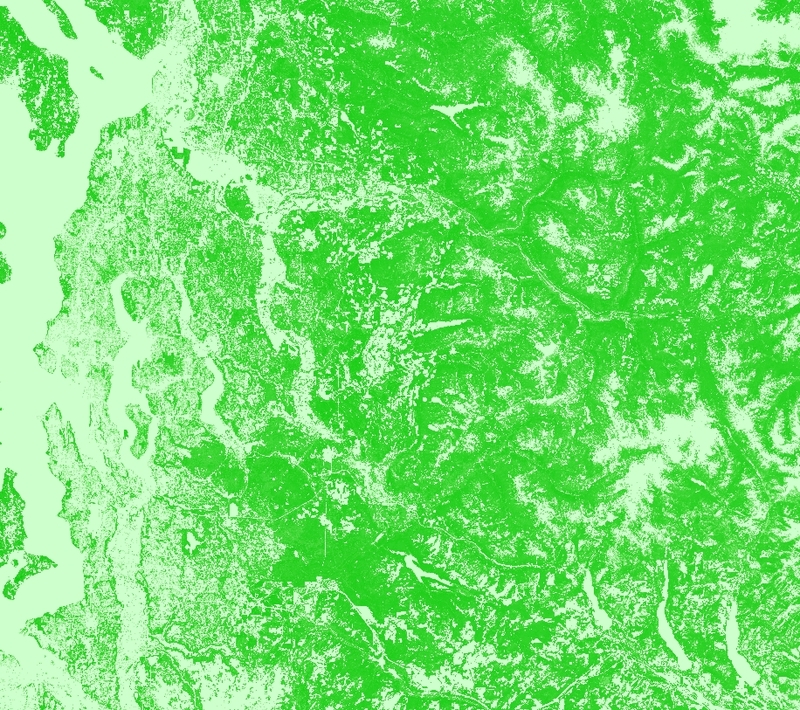 Also as SDE Raster Mosaic GISPROD. 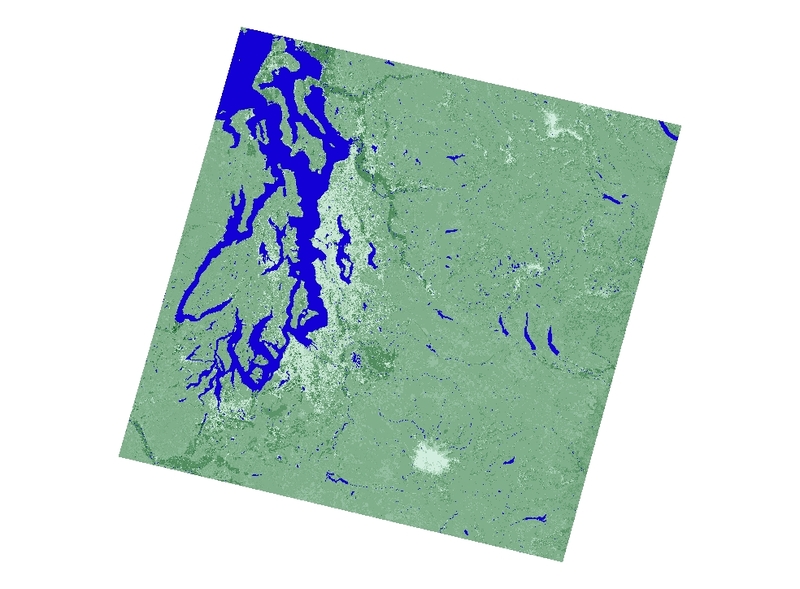 or GISSQLDW. RASTER.LANDCOVER.IMPSURF_2009. 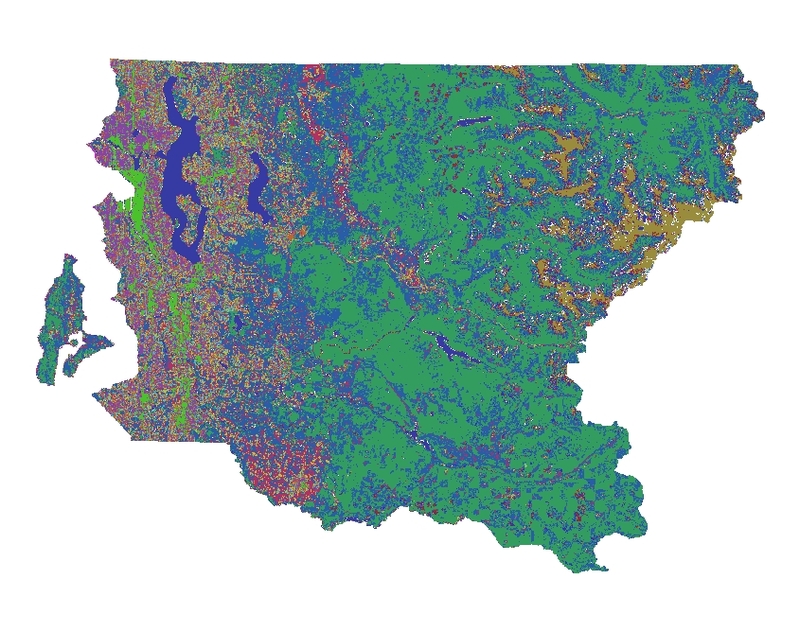 Abstract: National Landcover Database Impervious Surface Percentage. 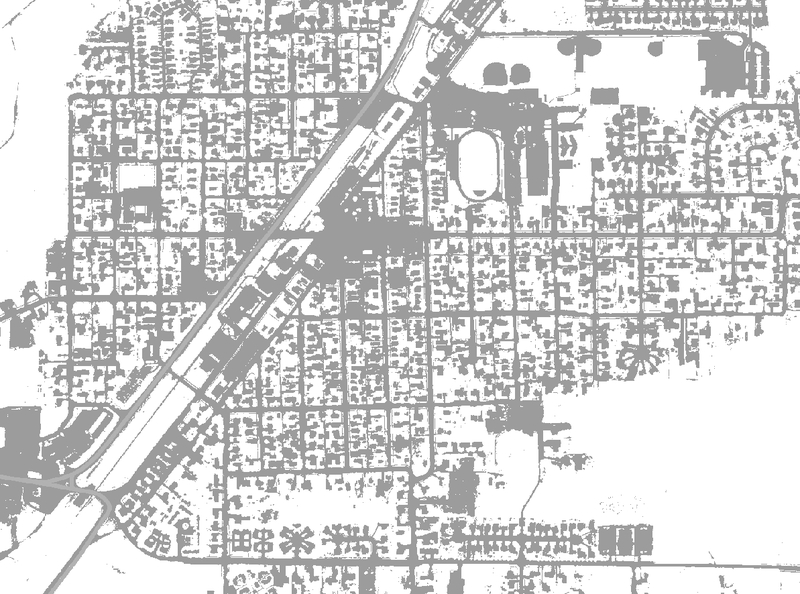 Abstract: Manmade features and structures with building height determined from first return and ground model lidar elevation difference. 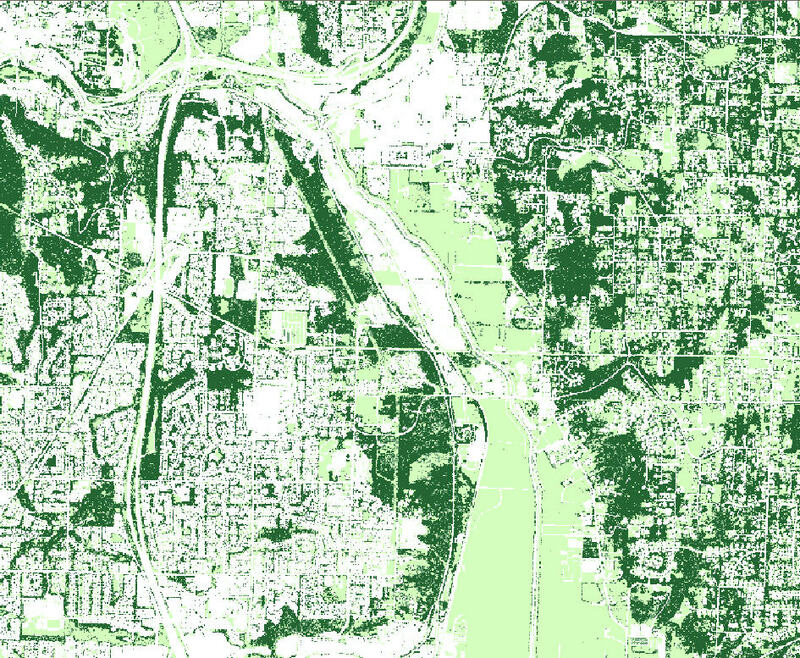 Features isolated from vegetated features by use of impervious surface interpretation. 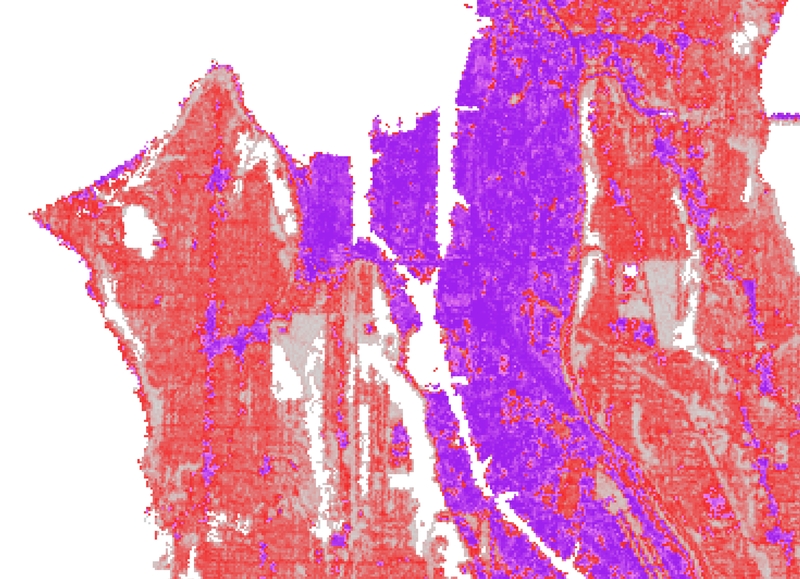 Best available input data sources provide generalized view of constructed features and approximate height. 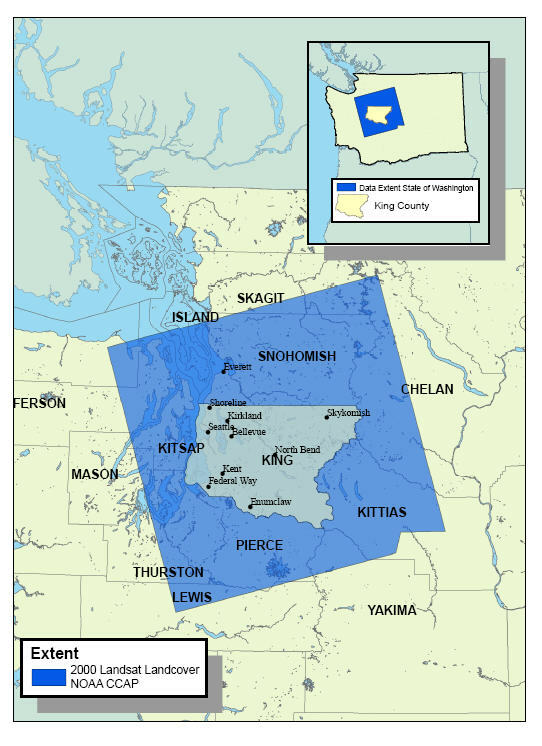 \\gisdw\kclib\plibrary3\idxptrmbr\lndcov_bht\txxryy_bht006 (grid) and at the zone level as zyy_bht015, and as full county aggregate in the keyregion\landcover\ directory as reg_bht030 (grid). 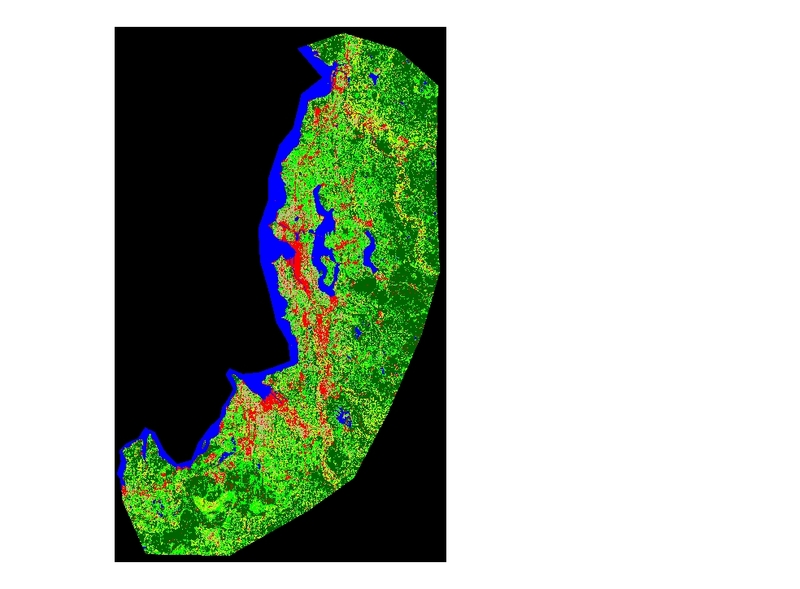 Abstract: Vegetated areas with growth height determined from first return and ground model lidar elevation difference. 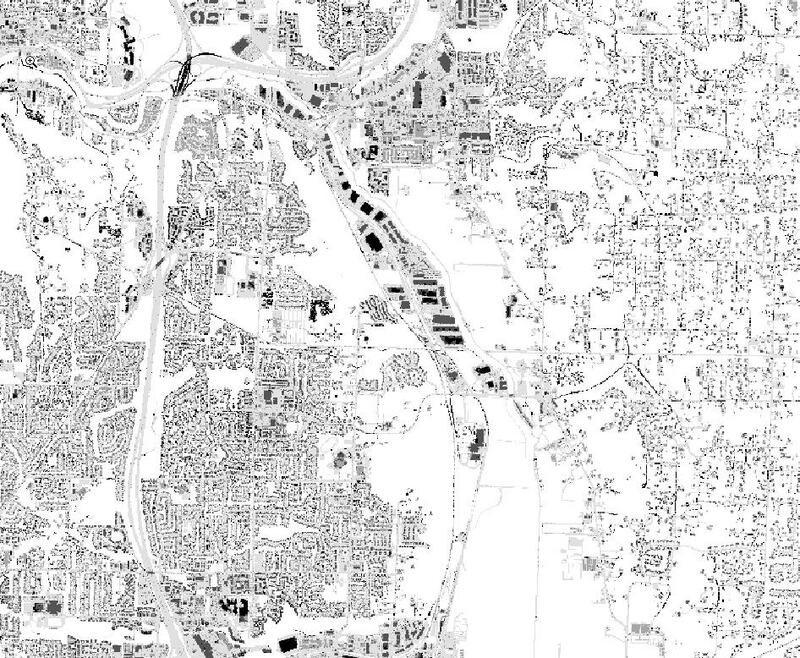 Features isolated from manmade features by use of impervious surface interpretation. 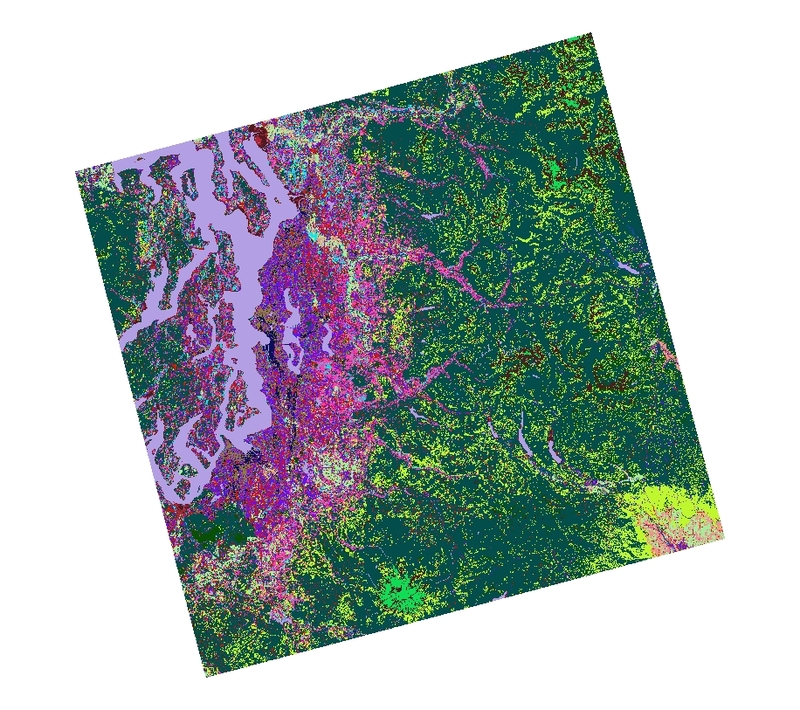 Best available input data sources provide generalized view of extent of vegetated areas and approximate height. 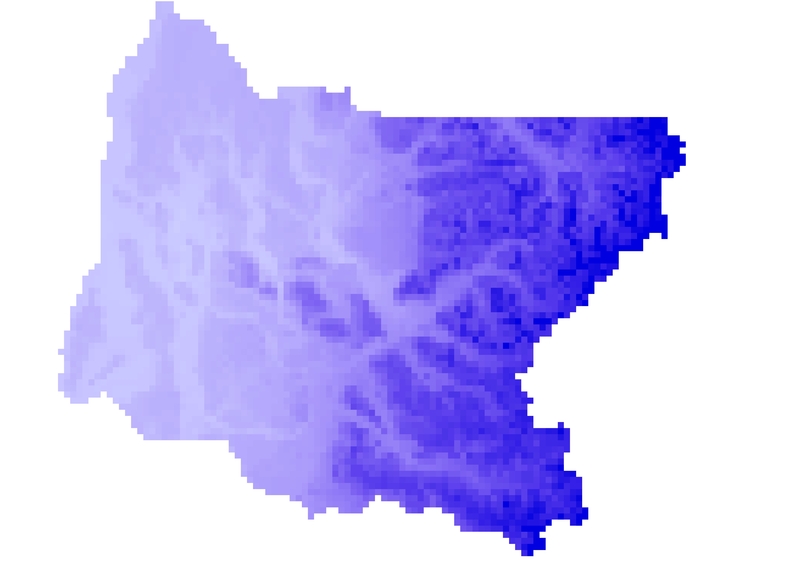 \\gisdw\kclib\plibrary3\idxptrmbr\lndcov_vht\txxryy_vht006 (grid) and at the zone level as zyy_vht015, and as full county aggregate in the keyregion\landcover\ directory as reg_vht030 (grid). 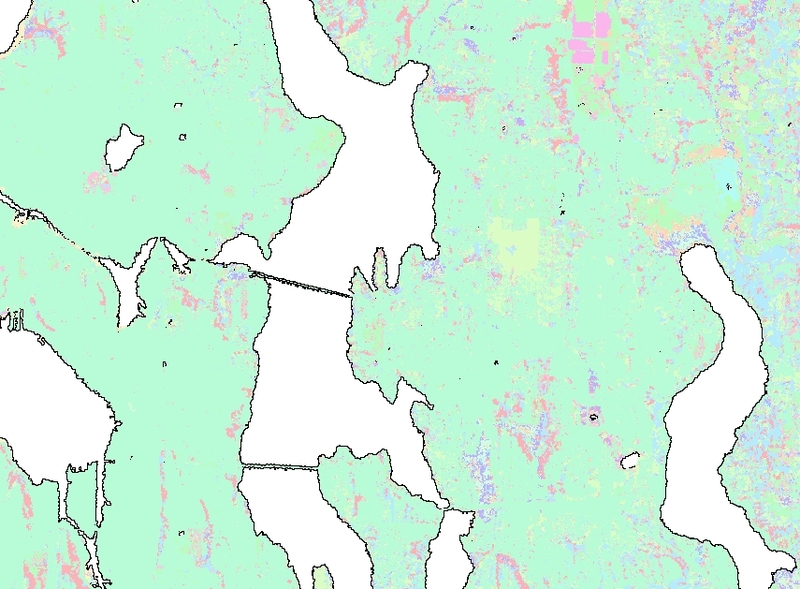 Abstract: National Landcover Database Tree Canopy Percentage. 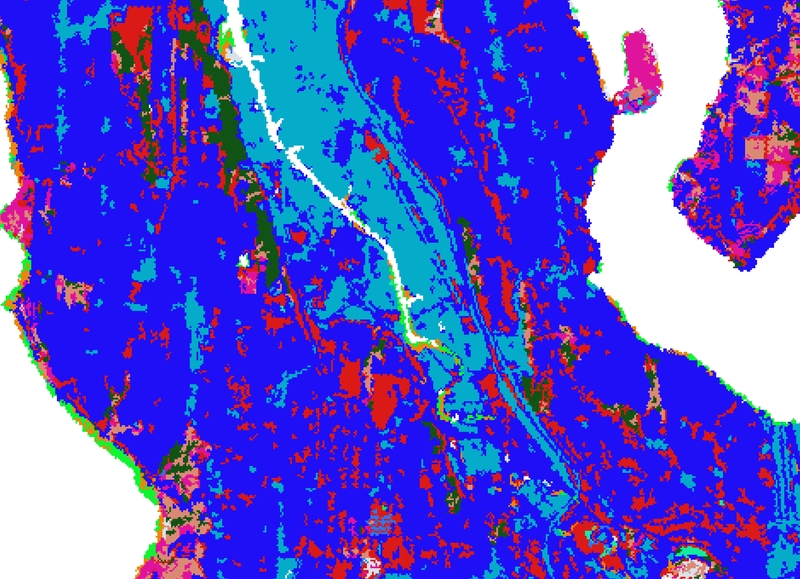 Abstract: High-resolution interpretation of impervious and other man-impacted surfaces. 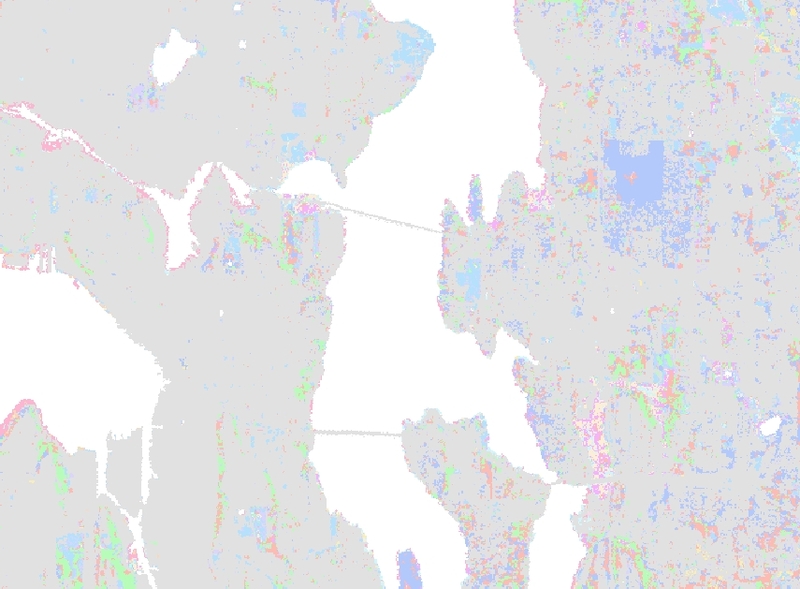 Spectrally-extracted with value-added editing. 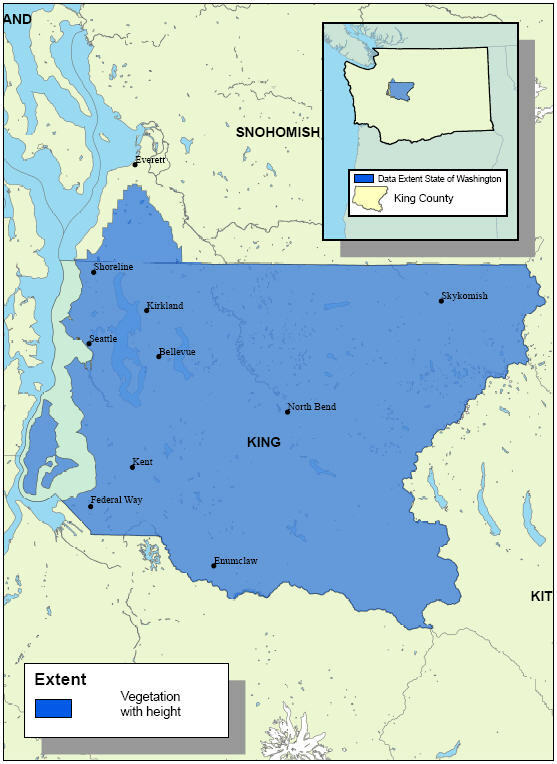 \\gisdw\kclib\plibrary3\idxptrmbr\lndcov_imp_2000\txxryy_imp002 (grid) and at the zone level as zyy_imp015, and as full county aggregate in the keyregion\landcover\ directory as reg_imp030 (grid). 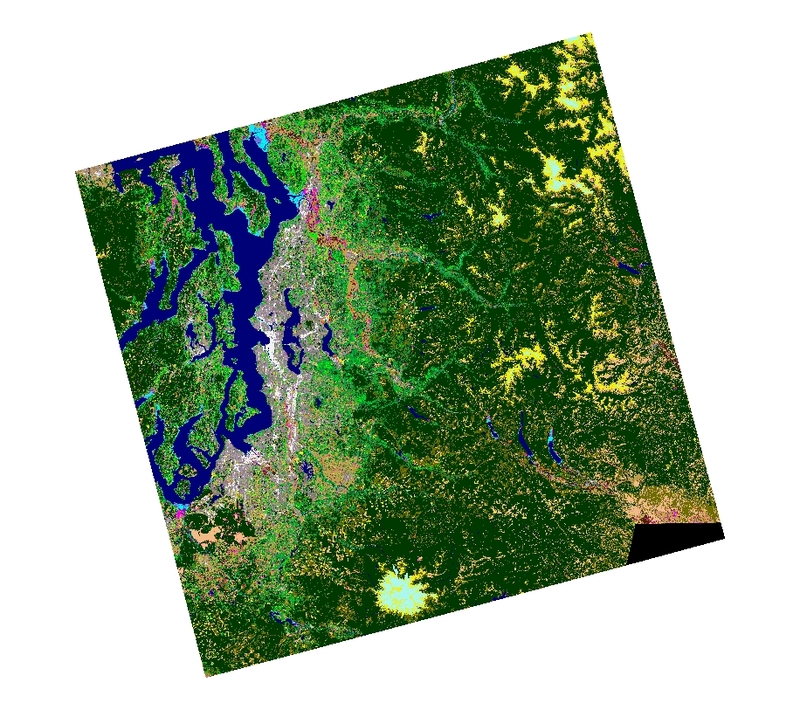 Also as SDE Raster Mosaic GISPROD. 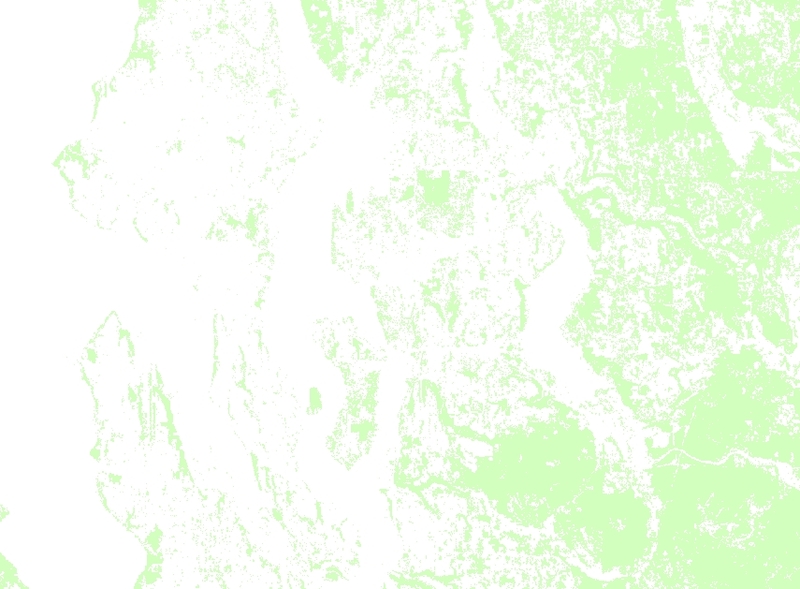 or GISSQLDW. 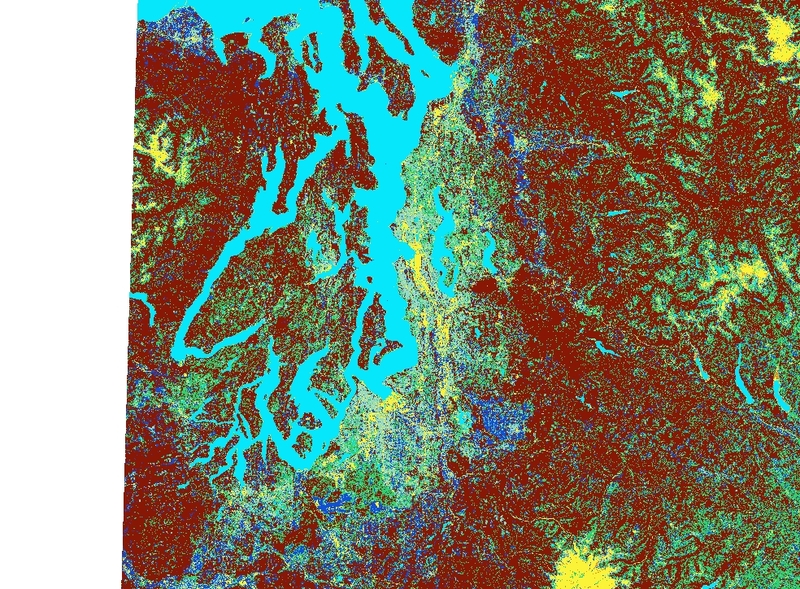 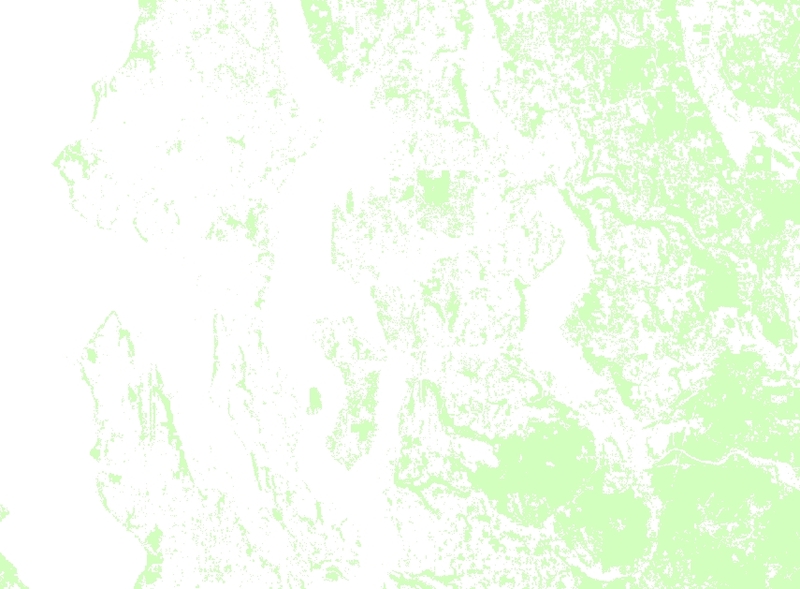 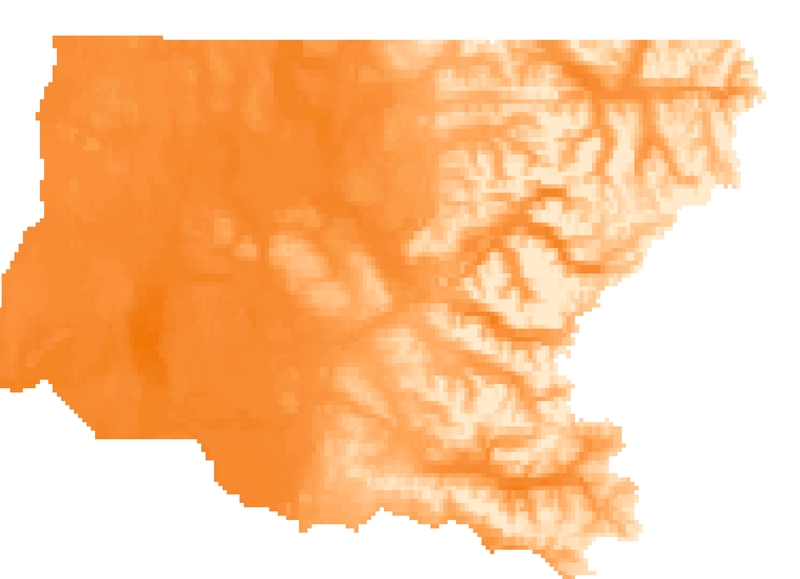 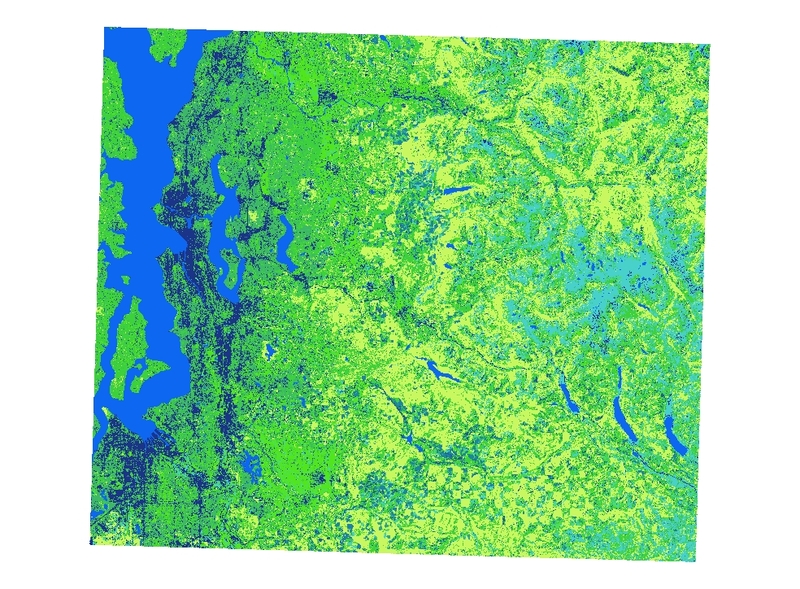 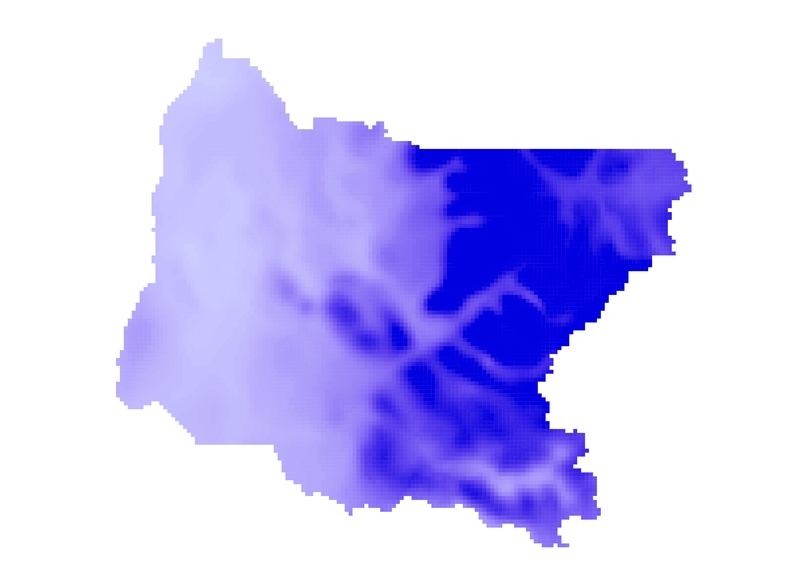 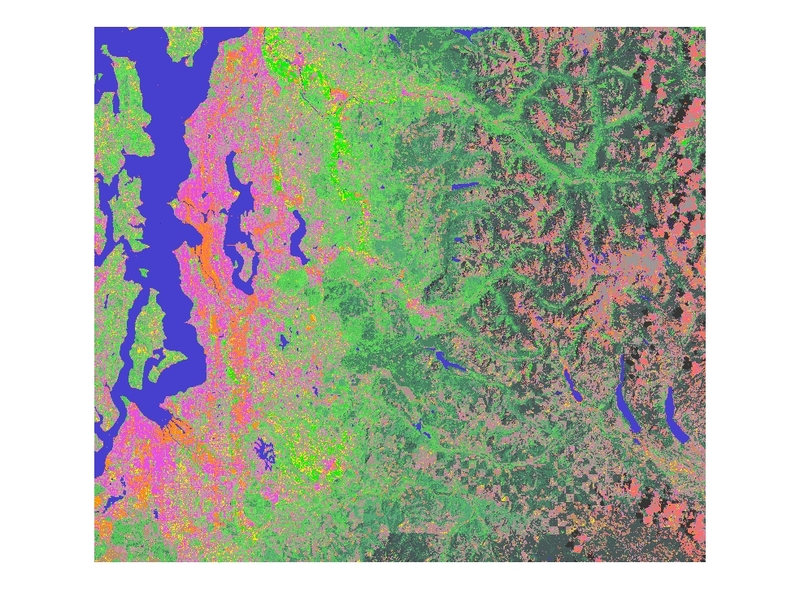 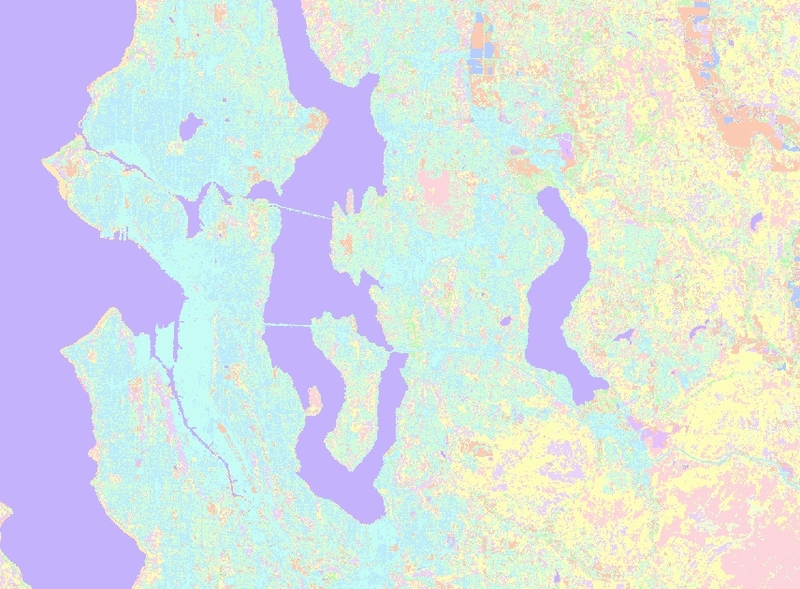 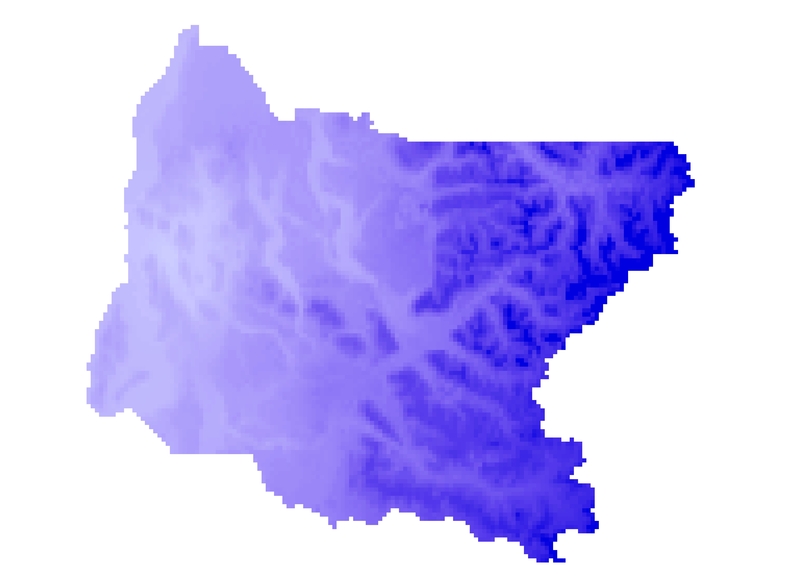 RASTER.LANDCOVER.IMPSURF_2000.